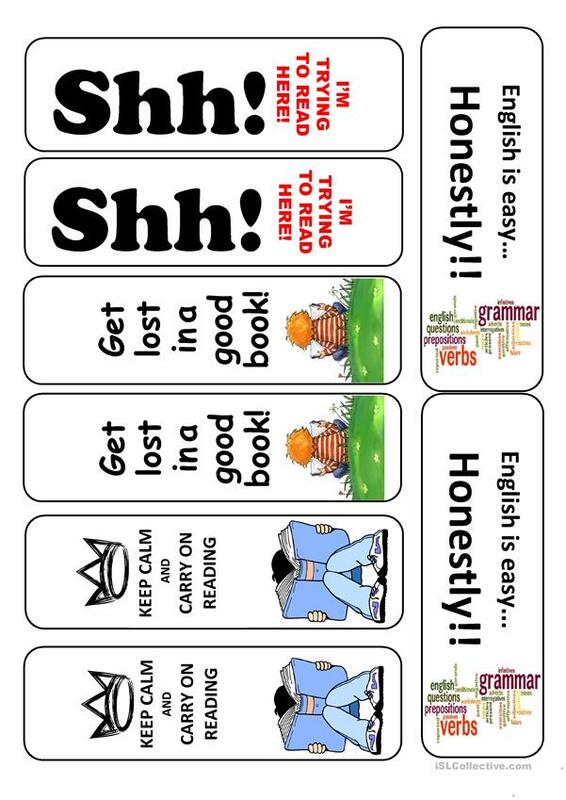 Print and laminate sheet, then cut out bookmarks. If you want you can holepunch the bookmarks on one end and insert a pretty ribbon through the hole. Give to your student as a reward! The above downloadable teaching material is a great resource for high school students and elementary school students at Beginner (pre-A1), Elementary (A1) and Pre-intermediate (A2) level. id003 is from/lives in Italy and has been a member of iSLCollective since 2012-11-12 20:06:00. id003 last logged in on 2016-01-25 20:47:52, and has shared 8 resources on iSLCollective so far.